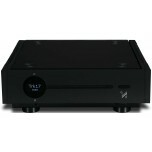 Most hi-fi systems we sell are "tailor made" from a separate amplifier, turntable, streamer and/or other music sources. 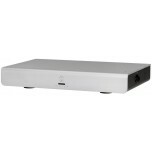 However, these one-box systems combine amplifier and music sources in a single space-saving unit. Simply add your choice of bookshelf or floorstanding speakers and enjoy. 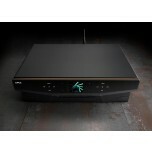 For ready made hi-fi systems including speakers, see our hi-fi package deals. If you can't find what you're looking for here, remember you can still use an integrated amplifier as a one-box system - it won't have the built in sources like these units do although several integrated amplifiers now include bluetooth streaming and/or onboard DACs so you can stream music from your smartphone, computer or other device, all of which is another option for a one box unit that's still "proper hi-fi" and simply needs a good pair of speakers adding.. 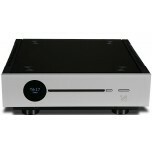 These one-box hi-fi systems combine several features in one unit, which typically includes a reasonably powerful amplifier and range of audio sources in one box. The benefit of this design means that all you need to start enjoying your music from such a system is a connection to the mains power supply as well as a pair of speakers connected with speaker cable. Most of these Hi-Fi systems will feature a CD player, allowing you to enjoy your favourite compact discs. Other functions typically offered include FM and/or DAB digital radio. Most of these systems offer an internal headphone amplifier, which lets you listen to your music using headphones rather than the speakers, which is ideal for late night listening sessions or if you don’t want to disturb anyone. 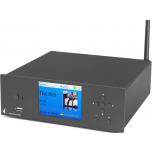 Some systems include Bluetooth functionality, enabling you to wirelessly send music or content from any Bluetooth-enabled device to your Hi-Fi System. Most systems will also offer a range of inputs allowing for the connection of multimedia devices such as smartphones, laptops and portable audio devices. These inputs are typically line-in 3.5mm minijack connections, although some systems allow for a USB input, which also offers the advantage of being able to charge your device while offering playback at the same time. 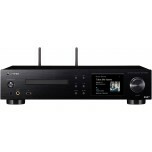 Hi-Fi Systems offer a range of inputs to connect external devices, allowing you to use your system to listen to these sources. 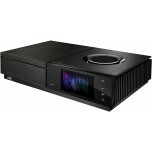 This allows you to connect a range of products such as DVD players, games consoles, Blu Ray players etc. 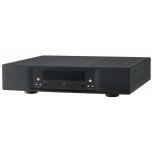 to your system and enjoy high quality audio. One advantage to purchasing a Hi-Fi System is that it allows you to use whatever speakers you like. 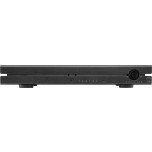 Not only does this allow you to use any existing equipment or speakers you may have, but it also permits you to upgrade your system in the future or build the ideal setup by matching quality speakers with the receiver unit. 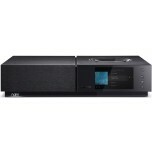 Traditionally hi-fi systems would include speakers, either hard-wired into the main receiver or using a bespoke connection option preventing the use of your own speakers or existing equipment. 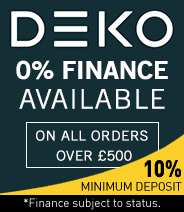 Some of the systems we sell do include speakers, typically designed to match your system in sound. These can be replaced in the future if required. The freedom of matching your system to most speakers, means that you can build the ideal system. 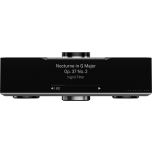 If you are looking to build a particularly compact system, then your Hi-Fi System Receiver can be matched with some satellite speakers or particularly compact ones. 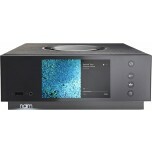 Or if you require a system to match existing equipment or furniture, then you can purchase speakers of the same finish.